Goulceby is a delightful village nestling in the valleys of the Lincolnshire Wolds. On the Viking Way long distance footpath, All Saints is a welcome shelter in inclement weather. An unassuming Grade II listed parish church, All Saints was re-built in 1908 re-using medieval fragments. Although simple in style and size it is, however, tenderly cared for. 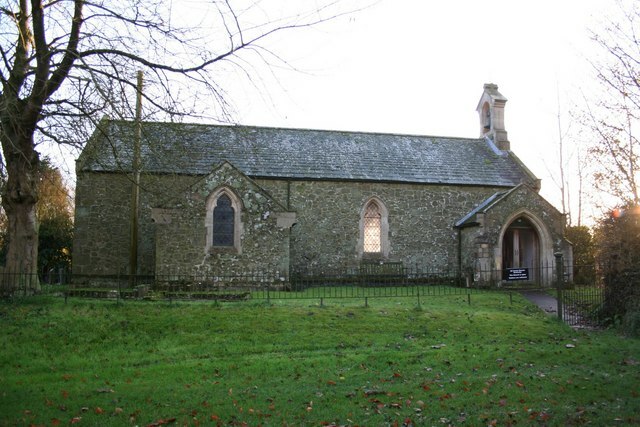 All Saints has a slate roof and a gabled west bellcote containing a single bell. The building has simply one room, with the bellcote, nave and chancel in the same space as the north porch and vestry.